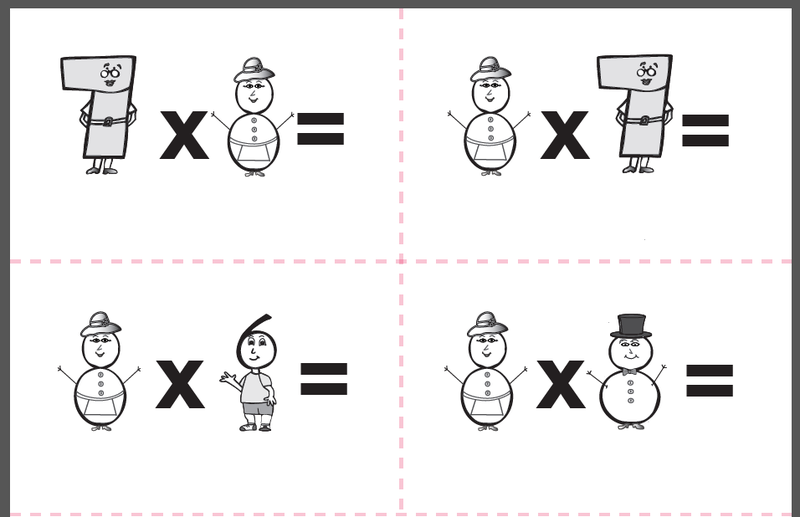 The Trigger Memory Co. has blended together math facts with simple stories, creating Times Tales. 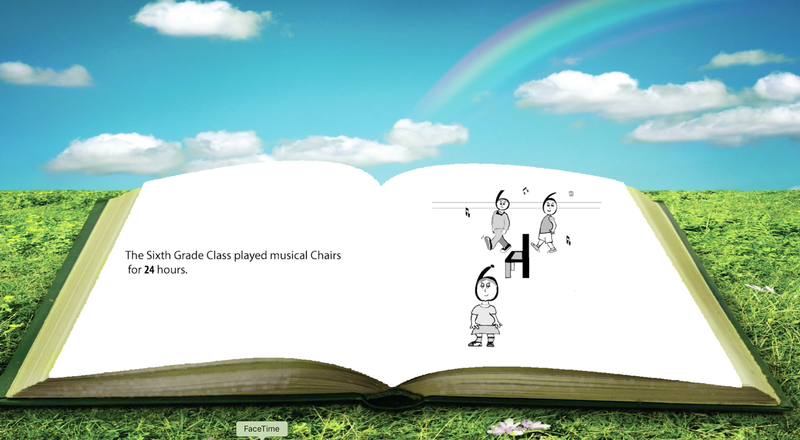 The program claims to help children to quickly recall the upper level multiplication facts. I've seen numerous advertisements on homeschool pages and Facebook for it, and was intrigued but skeptical. 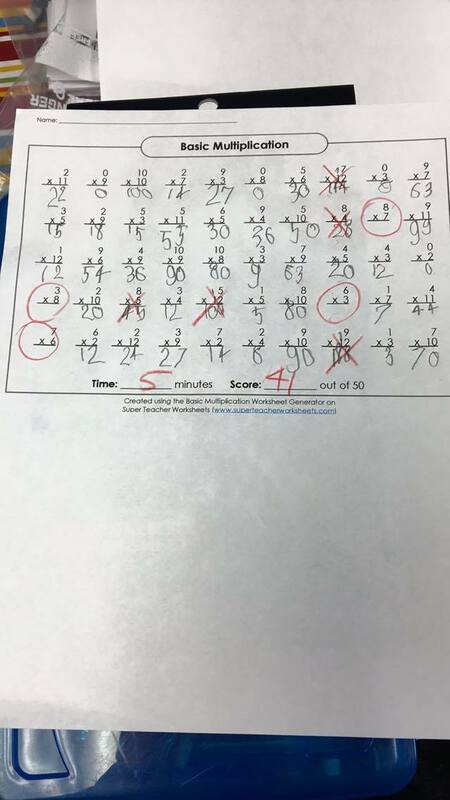 When Jude was really struggling with grasping his times tables and we were chosen to receive a digital download of the program, I figured it was worth a chance and an open mind. Jude had the idea of multiplying down, with no problems. He just struggled to memorize the facts.We had been working on a daily multiplication drill, and he was averaging 6 and 7 problems out of 25 wrong. He was utterly dejected after this drill, and I knew something had to change. I have to admit, I never realized how many times tables facts there were - if you count the zero times table, one times table, etc. - until I was cutting out flashcards. 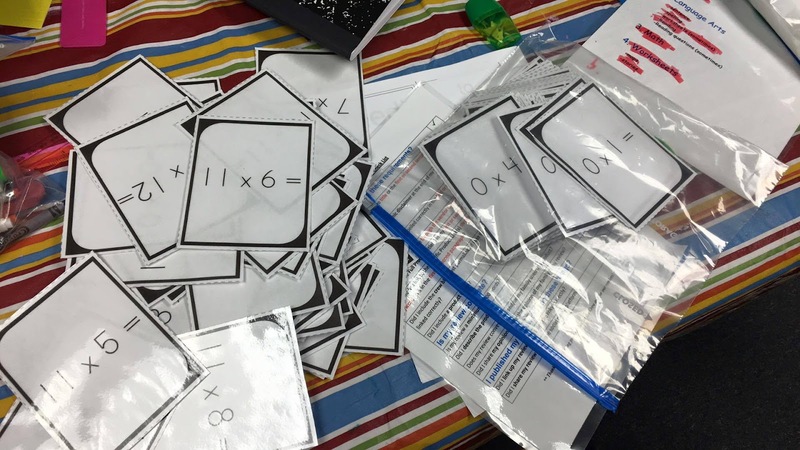 Despite being the basis for just about every kind of math used from third grade forward, they're not exciting in the least and just straight up memorizing. Thirty-some years later, I can remember sitting in the pews of my childhood parish church with my third grade teacher, drilling times tables with flashcards. (I was struggling and had to stay after school for help, and music - the last class of that day - happened to be in the church.) After finally making it through the entire deck of flashcards without a mistake, I headed home to study some more. Obviously, I learned my times tables well enough to pass to fourth grade and beyond, but I thought there had to be a better way than just drilling them over and over and over. After using this program, I'm convinced that Times Tales is that way. For centuries, stories have been the way for information to be taught and passed down. Study upon study has shown a link to better learning when information is placed into a story. Times Tales takes the information - one number times another - and places it in the context of a story. In addition, the numbers are embellished into visual characters. Jude didn't realize at first that he was learning times tables -- he just was watching a story.After working on this, I'd ask Jude a math question, and he'd stop, close his eyes to visualize the problem, and then retell the story aloud, murmuring, "sixth grade class...chairs...six...four...TWENTY FOUR!!" He was not only recalling the arithmetic but also the story! He was stunned the first time he got a problem right....and the second time, when he got a different one right. By the third correct answer, he was BEAMING. We took a break for the day he watched the videos, and then one each day for the rest of the week, we worked on the worksheets for the program. During the second week, we did the same, but this time he did all of the worksheets on one day! He was so excited and confident. Day 3 after watching the second video -- a perfect score on the drill page! His face lit up like a Christmas Tree, and he said to me, "I'm smart after all! I DO know this...and I can still keep all my old memories. I love this Math!!" The program is divided into two parts, and focuses on the "upper" times tables - multipliers 6, 7, 8, and 9. These are the harder ones; in my experience, even skip counting - 3, 6, 9, 12, etc. - peters out when you get that high up. Jude seemed to manage up through "times 5", but just lost his way when we got past those "easy" ones. 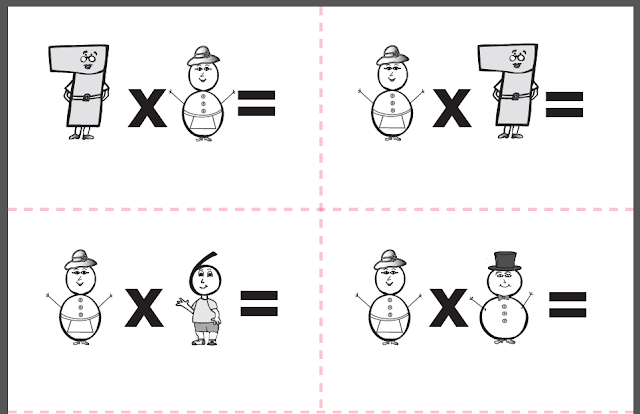 Part One focuses on multiplicands 3 and 4, while Part Two introduces 6, 7, 8, and 9 as the multiplicands. The program recommends you do Part One, and then practice with it, and not start Part Two for at least a week. Each section of the program consists of a "character meet and greet", story, quiz, and worksheets. There is also a final test at the end of Part Two. The video portion of the program is about 30 minutes long, and then there are worksheets for during the rest of the week. When Jude first started, they took him about 10 minutes because he had to stop and think about the story. By the end, he was finished a worksheet before I realized he even had a sharp pencil. That said, it is definitely worth printing out the picture flashcards from this program, even if you use your own flashcards for the regular ones. They have the pictures from the stories on them, allowing your child to practice recalling the story. There are also crossword puzzles to test story recall, practice tests, tests, and a cube game to work on between videos. I have to admit, I was skeptical. We've been burned badly on curriculum that was practically universally promoted, and it seemed like Times Tales was everywhere. 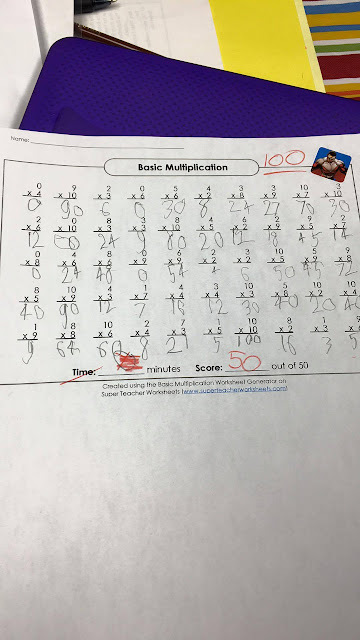 Since using Times Tales, not only has he solidified his times tables, but has moved on to multiple digit in both the multiplicand and multiplier places, and consistently has every answer correct. It may not be a traditional way of learning times tables, but then again, Jude isn't traditional, either! I'm so glad we had the chance to use this program -- it has made such a difference for Jude, both for academics and his self esteem. No wonder it's becoming such a popular program, and one well-deserving of its accolades. To discover more about Times Tales, follow the Trigger Memory Co. on Facebook, or click the banner below to read more reviews!